Time for a vacation, and the Pride Lands are roaring your name. Located at Disney’s Art of Animation Resort, The Lion King suite is sure to pleeease anyone who grew up on the 1994 classic. With enough space to sleep six, it includes three rooms, two bathrooms, two televisions, a microwave, and a refrigerator. To top it off, this mighty little kingdom will make you feel like you’re the main event at Pride Rock, because it’s colored with fun scenery from the movie. First of all: five stars all the way. When you think “sports cafe” what comes to mind is likely mediocre food, sticky floors, and men with oily fingers and wing sauce in their beards shouting obnoxiously with beer-coated breath at the huge flat screens above their heads. 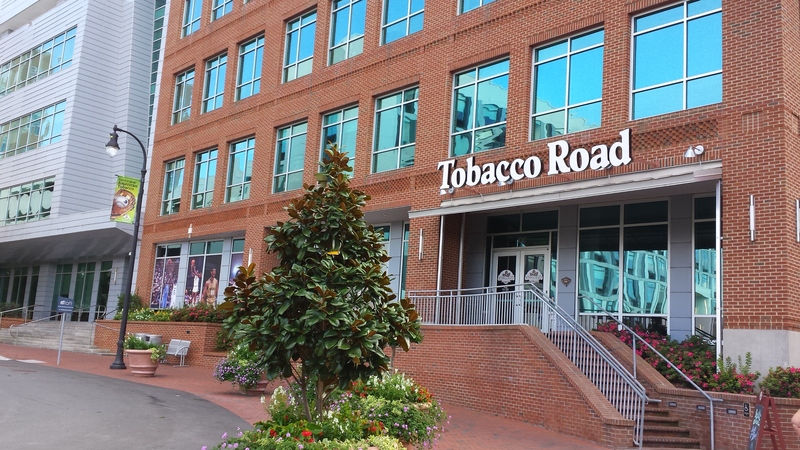 Tobacco Road Cafe in Durham, North Carolina, was packed with Duke University fans vocally expressing their excitement for the football game, as they should (because what would the athletes do without them?!) and it made for an animated atmosphere. The food here was knocked out of the park, the floors were spotless, and we scored great service. The typical office worker’s world. 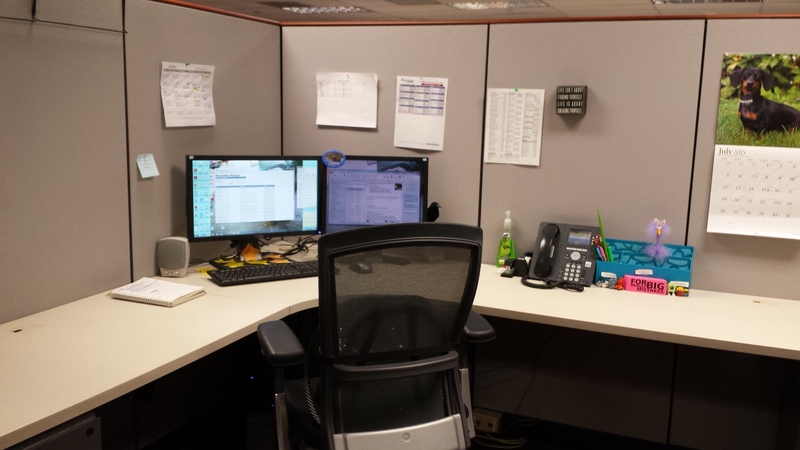 It was your typical office cubical environment: two monitors, a phone, calendars and schedules tacked to the walls, and a chair to be sat in for about eight hours every work day. I’m closing in on working for this company for three years, and though I’m content with my job, sitting in that chair 40 hours a week was not comfortable. Stand-up paddle-boarding (SUP) has been surging in popularity, and by now you’ve probably heard of it. If you live near or visited an ocean, lake, or river, you might have planted your feet on a board and hit up the waves already. 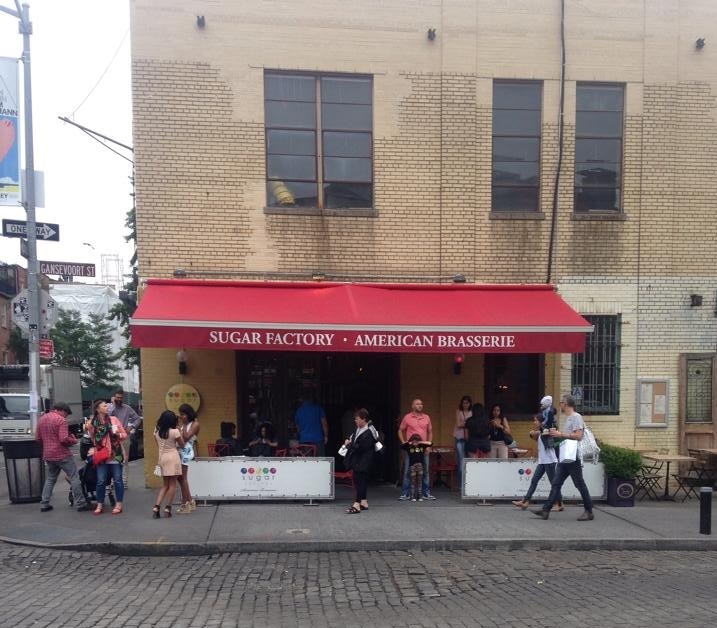 This past weekend two friends and I decided to hit up the Big Apple to check out the Sugar Factory American Brasserie on Gansevoort Street in the Meatpacking District. It doesn’t look like much, huh? A hole in the wall, maybe. But you know what they say, and you’ve heard it a thousand times, and I sincerely mean it this time. Don’t judge a book by its cover. The expression certainly applies here. It was a rainy day when we visited, and we had to wait outside. 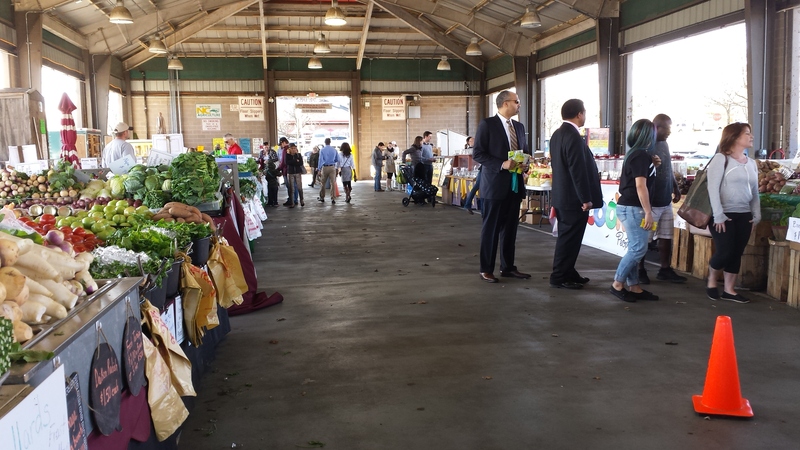 In fact, the place is small (3,000 square feet to be exact) and was so packed that we couldn’t even get inside at first. But we were set on trying this place, mainly due to word-of-mouth from some trustworthy friends. Once we squeezed inside and made our way up to the hostess stand, we found out the wait for three would be two hours, so we put one of our names down on the waiting list and, since we had time to kill, found plenty to explore in NYC. 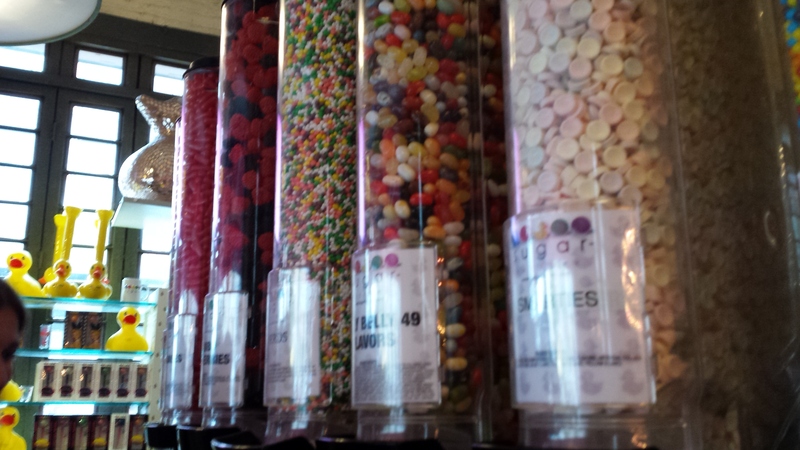 If you’re sweet tooth is acting up while waiting at the Sugar Factory, there is plenty of candy to munch on.